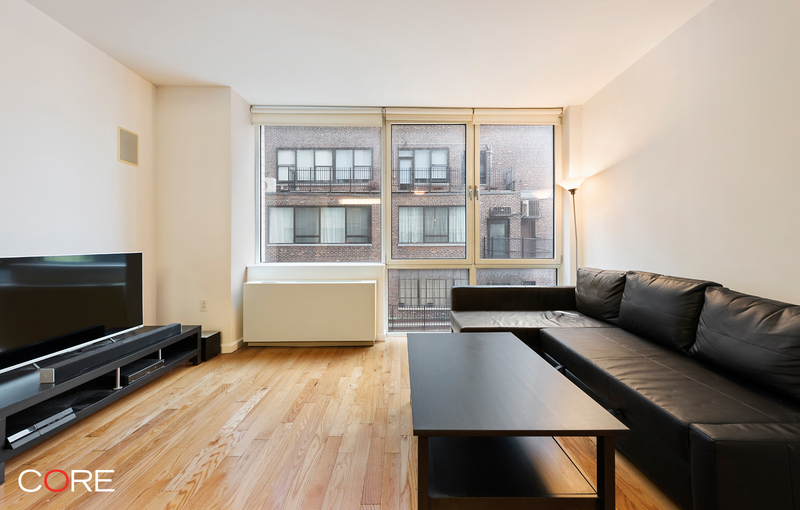 Located in Hudson Yard's 350 West 37th Street, unit 11A is a south-facing, well-appointed 1-bedroom home. The floor-to-ceiling, double-paned windows provide peace and quiet but allow for plenty of natural southern light. Solid natural oak plank flooring is found throughout the home. The open kitchen, which is great for entertaining, has hardwood cabinetry, white Caesarstone countertops, Viscaya snow glass backsplash with matte finish and ceramic tile flooring. 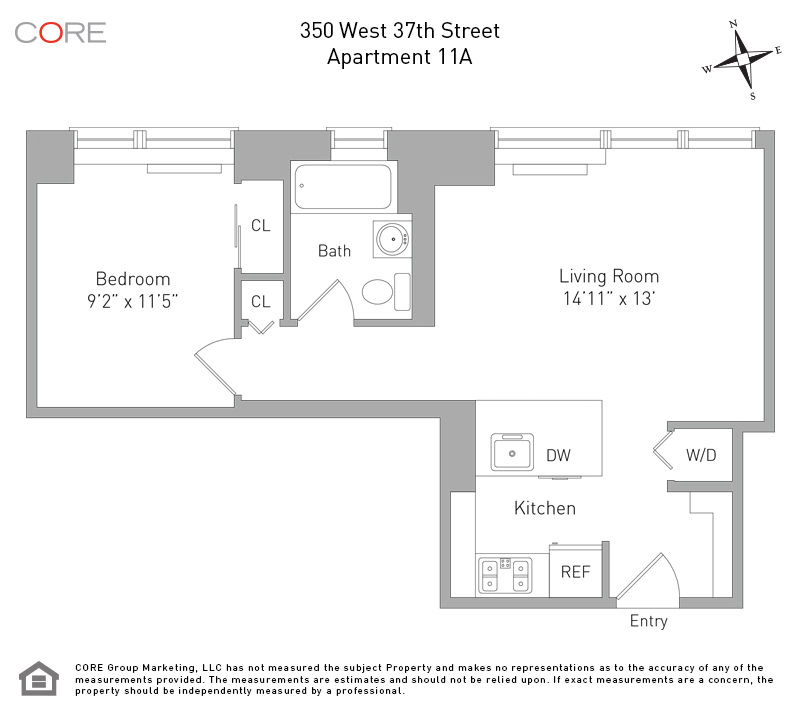 Appliances include a Frigidaire ice maker refrigerator and a GE range, microwave and dishwasher. The bath is designed with a Kohler vanity, faucet, toilet and fixtures, white marble tile and flooring. An Asko washer/dryer and an iPod docking station with built-in speakers and volume controls in all rooms including the bathroom completes the space.